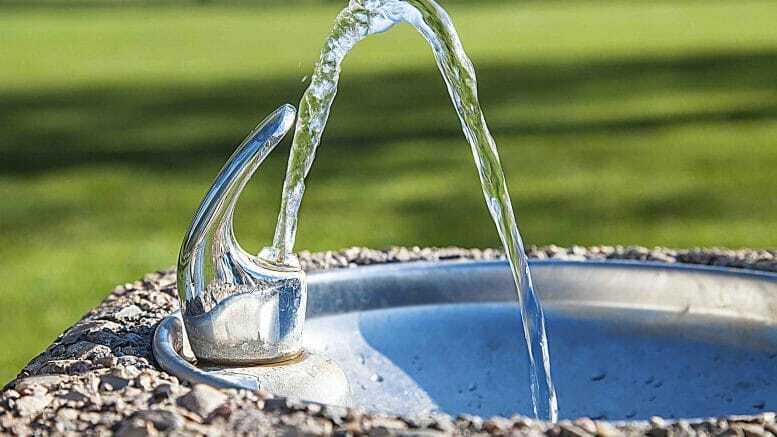 Unlike many Western countries, free public drinking water is almost never provided in public spaces in Russian cities, and the availability of clean drinking water varies heavily by region. Information about quality of drinking water in various Russian cities can be found here. Most Russian travel guides warn against drinking the tap water in Russia. Although most Russian cities now have municipal water systems, still, most travelers and locals remain cautious. In fact, bottled drinking water constitutes 42% of Russia’s rapidly growing bottled beverage market, showing a clear discrepancy between authority claims of water management and consumer choices. This article will explore the challenges Irkutsk’s public water system faces, taking into account the city’s history, water infrastructure and quality control systems, along with how modern developments, particularly in the tourism sector, are affecting the city’s water supply. Although Russia has more fresh water reserves than any other country, Russia faces challenges in providing clean drinking water to its cities. The most prominent of these include both water pollution and a lack of infrastructure to transport and process water. While Moscow and St. Petersburg had pressurized water pipelines installed during the 17th and 18th centuries respectively, mass installations of water pipelines throughout the rest of Russia did not begin until the 19th and 20th centuries. In Irkutsk, a public water system was first officially proposed in 1883 but was rejected due to its projected annual maintenance cost of about 60 thousand rubles (approximately $800,000 in US dollars today). Instead, Irkutsk residents obtained city permits that allowed them to hire water deliveries from Lake Baikal and the Angara River to their homes. This system was used even during the winter, when special ice holes, or “проруви” were drilled to reach the water. In 1903, the Irkutsk City Duma began construction of a more modest water network and, in 1904, the first water tower and slightly more than a half mile of pipes were installed. This was a relatively small investment for a city of about 75,000. Expansion later occurred in the 1950’s with the Irkutsk Hydroelectric Power Station Dam. When the Irkutsk reservoir filled in 1956, the city unified the water supply, building two large pumping stations on the Angara River, as well as a water intake system inside the dam itself. Another expansion came in 1976, when the city constructed the Ershov Water Intake System, located in the Sverdlovsk District of Irkutsk, on the left bank of the reservoir. Map of Irkutsk taken from 2GIS, showing the location of the Ershov water intake system and protected area. As the Soviet Era drew to a close, the state prioritized political and military interests in its budgets, rather than public amenities, such as housing, water management, and health services. Today, most cities, like Irkutsk, rely on infrastructure that dates from Soviet and even Tsarist times. 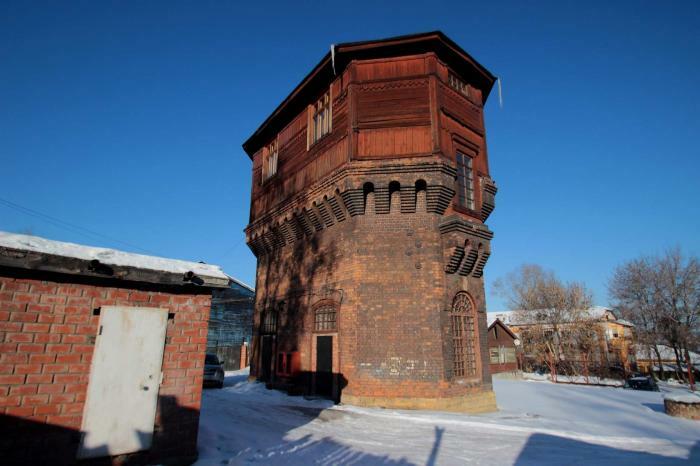 Irkutsk still uses its original water tower. How Does Irkutsk’s Municipal Water System Work? Globally, rainwater, groundwater, and surface water account for most drinking water sources. Each of these sources requires infrastructure to transport and ensure the safety of the water supply. Local conditions and contamination risks also dictate public water system requirements. In Irkutsk, Lake Baikal and the surrounding rivers have served as the exclusive water sources for humans for centuries, due to their location, size, and historical cleanliness. Located about 65 kilometers south of Irkutsk, the enormous lake contains 22-23% of the world’s fresh surface water, more than all the Great Lakes combined. Baikal is also one of the cleanest lakes in the world – at times it is possible to see more than 130 feet down. 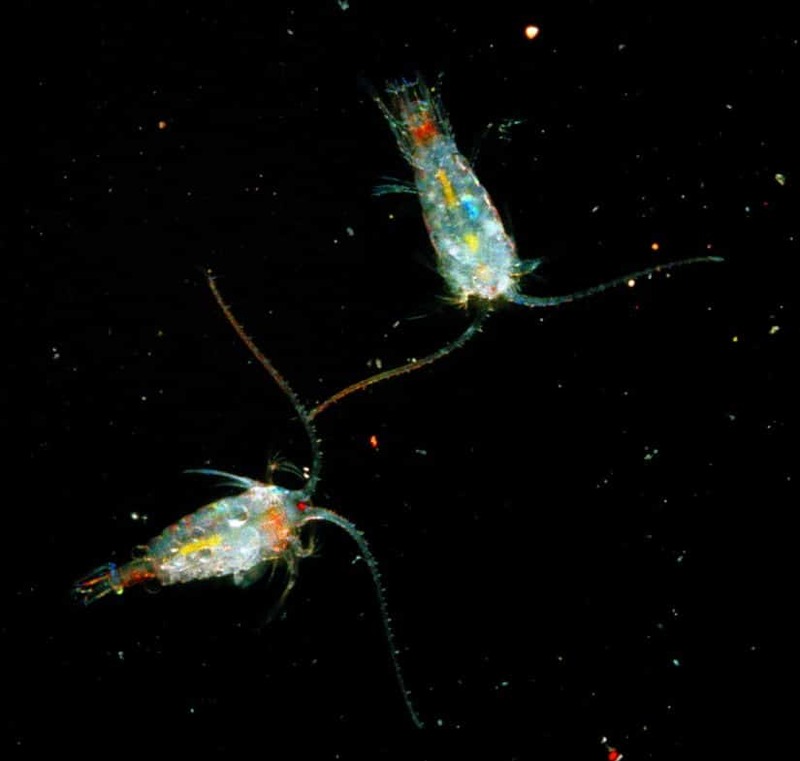 The Epischura Baicalensis is a species of zooplankton endemic to Lake Baikal. Making up 80-90% of the lake’s biomass, it is crucial to maintaining the lake’s cleanliness. The lake’s ecosystem, which is home to over 3,000 endemic species, is instrumental in keeping the lake clean. Numerous species, including microscopic shrimp, plankton, and various sponge breeds, act as natural filters for the lake, clearing organic matter from the water. The lake is fed by pure melted ice from surrounding mountain ranges in summer months. Most municipal water supply systems follow a similar process of delivery, starting with initial intake, followed by treatment, and then distribution. The Ershov Water Intake System is one of Irkutsk’s primary sources of water intake. It draws from 15 meters below the Angara, avoiding heavier silt loads near the bottom of the river and greater organic and other impurities near the top. It is also equipped with a screen to block aquatic organisms from entering the water supply. To protect Irkutsk’s water supply, the government instituted a water protection zone around the Ershov Water Intake in 2012. Within the zone, vehicular travel is restricted, and one is forbidden to dump or store waste, camp, garden, collect plants, or destroy habitats in the region. However, activities deemed by the city as recreational, scientific, environmental, or eco-educational, are permitted. A common water intake system model used to obtain water from lakes and rivers. Municipal treatment processes often involve multiple steps, including chlorination, aeration, coagulation, sedimentation, filtration, and disinfection. However, Irkutsk utilizes just one step: chlorination, in which aerated chlorine is injected into the water. Chlorination relies on choline’s ability to readily combine with almost anything: it breaks down chemicals and organic material, including microorganisms. This removes not only pathogens, but also foreign tastes, odors, and colors. If sufficient chlorine is added to the water to process all the material, disinfection occurs. This is a favored first line of defense for most cities because it is inexpensive, easy to transport and store, relatively safe, and more effective against pathogens than any other sanitizer. One major concern for chlorination systems is that the level of contaminants must be constantly monitored in order to ensure that the correct amount of chlorine is added to the system, as well as that the chlorine reacts properly within the system, not leaving contaminants or excess residual chlorine. Rospotrebnadzor, or the Federal Service for Supervision of Consumer Rights Protection and Human Welfare, conducts daily tests for each city district in Irkutsk via SanPin (Russia’s national sanitary norm regulator). Tests ensure that chlorine levels in public tap water do not exceed a safe and relatively tasteless 0.3-0.5 milligrams per liter. They also ensure that mineralization, bacteriological, and chemical levels remain within norms. Interactive map produced by Rospotrebnadzor showing water contaminated by magnesium throughout Russia. Rospotrebnadzor is responsible for gathering, analyzing, and publishing test results for the public water supply in Irkutsk and most other cities in Russia. It provides an interactive map displaying water quality and composition throughout Russia. The site also shares information (in Russian only) on the location of its laboratories and territorial departments, as well as health risks which may correspond to contaminants commonly found in water. 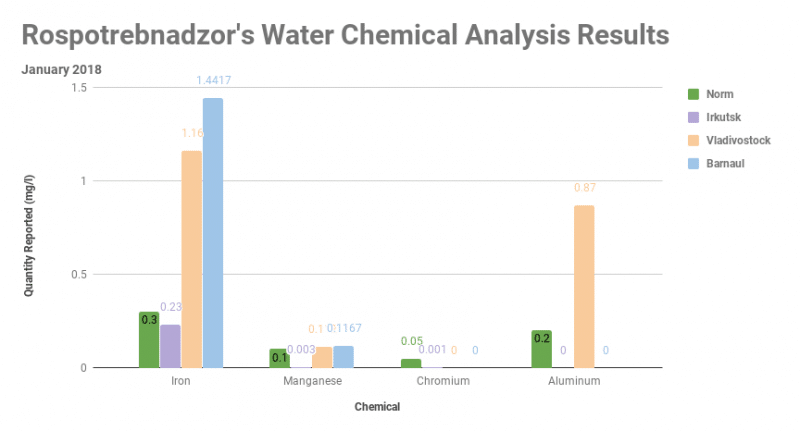 This graph displays test results carried out by Rospotrebnadzor in January 2018 to detect the degree of Iron, Manganese, Chromium, and Aluminum present in the public water of Irkutsk, Vladivostok, and Barnaul. Rospotrebnadzor also carried out tests for various other chemicals, including Silicon and Magnesium, in Irkutsk, Vladivostok, and Barnaul. 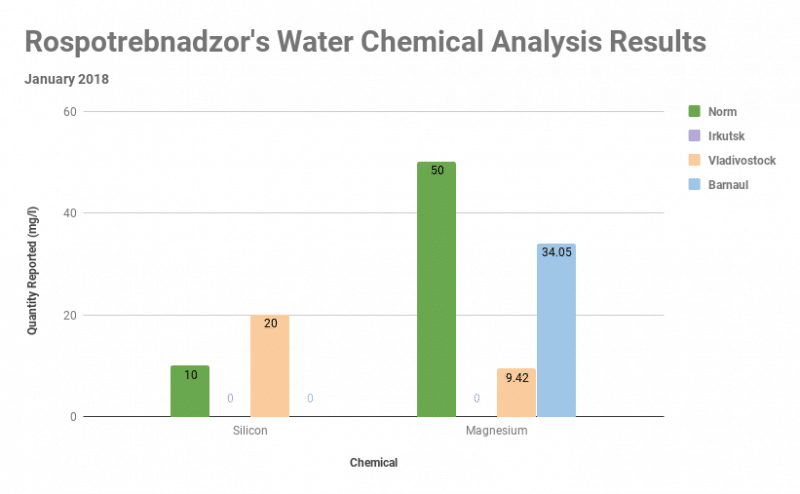 Consistent with Irkutsk’s city authorities’ claims, Rospotrebnadzor’s results show that chemical contaminants pose little risk to Irkutsk residents. However, in terms of microbiological tests, unsatisfactory examples exist, indicating potential contamination. How Could The System Be Better? Despite these efforts, many in Irkutsk still prefer bottled water. This consumer choice is fueled, in part, by concerns that the system does not address all quality concerns. In most cases, chlorination is effective in inactivating a variety of different microorganisms, including protozoa, bacteria, and viruses, as well as potentially hazardous chemical substances such as those containing manganese and iron. However, cysts and eggs of protozoa (specifically Cryptosporidium parvum, Endamoeba histolytica and Giardia lamblia) are often resistant to disinfection with chlorine, and can only be removed through filtration. Microorganisms come in a variety of different sizes and forms, each with its own characteristics. For more information on the difference between different microorganisms, check out this informational site. To analyze microbiological contamination, laboratories typically run tests for coliforms. Coliforms are “indicator” organisms commonly found in the environment and feces of all warm-blooded animals, including humans. 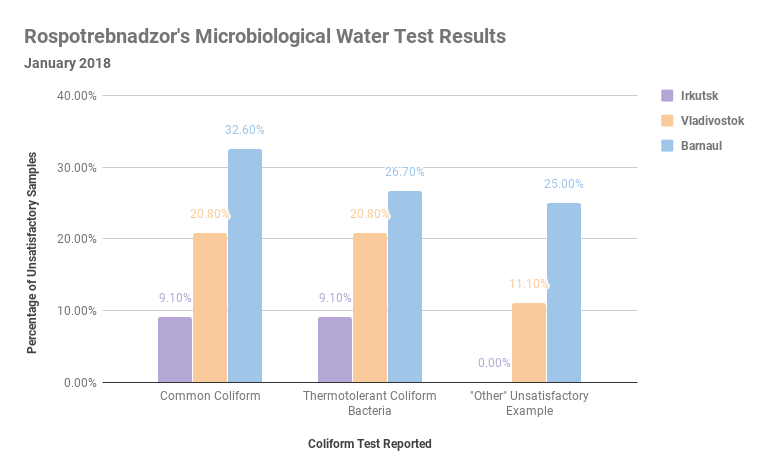 Coliforms are relatively easy and inexpensive to identify, and, while their presence does not represent a health risk, it does indicate that the conditions for more dangerous waterborne pathogens (such as E. Coli and Salmonella) to arise do exist. Because of this, it is important that when coliforms are identified in public water sources, authorities take action quickly to test further. Rospotrebnadzor’s microbiological test results show that unsatisfactory coliform samples were found in all three cities, although the water in Irkutsk contained considerably less. Microbiological tests in Irkutsk show that the city’s water is comparatively clean. However, public outreach surrounding microbiological contamination could be better. Although testing is regularly carried out and comparative statistics given on Rospotrebnadzor’s website, there is limited published information on the extent and type of coliform contamination in Irkutsk, aside from the presence of “unsatisfactory samples.” Because further information on the extent of the risk is not made readily available by Rospotrebnadzor, and the cost to obtain such detailed results is considerably high, many residents question the safety of the city’s water. Thus, many residents do not drink the tap water without filtering and/or boiling it first. Boiling water is a very effective, reliable, and easy form of in-home water treatment to inactivate disease-causing microorganisms from a water supply. Bringing water to a rolling boil for 1-3 minutes, allowing it to cool naturally, and protecting it from post-treatment recontamination generally eliminates the risk of contracting a waterborne illness. However, when boiling water is not an option (such as in on-the-go situations) many choose carbon filtration to reduce risks. Carbon filtering (such as with plastic store-bought filters) relies on a bed of activated carbon, or carbon processed to have small, low-volume pores that increase its surface area to remove contaminants and impurities. Carbon filtration is best at removing organic compounds, pesticides, herbicides, and chlorine in water. When seeking to remove microbiological contaminants, carbon filters do not guarantee coliform or cyst removal. The differing sizes and structures of protozoa, bacteria, and viruses determine their ability to be filtered out of water using carbon. Filters generally range from 50 microns (least effective) to 0.5 microns (most effective), and consumers should look for the smallest micron size for the best possible results. Filtration can also remove some of the byproducts from chlorination, increasing quality. There are many reasons why filtration is a very common step in municipal water processing. Irkutsk’s authorities, however, claim that with the pureness of the origin of the water, the step is not needed. Thus, to effectively remove protozoan risk from water, boiling is the most effective treatment method. However, if boiling water is not an option, filtering water treated by chlorination using activated carbon, is likely to remove or inactivate most, if not all microorganisms from a water supply, making it safe to drink. Of course, the combination of chlorination, boiling water, and carbon filtration will result in the highest quality and safest water for use. Concerns for Irkutsk’s waste management systems, and the repercussions they could have on the local water supply are growing. These concerns are connected with the region’s population growth, economic development, and especially with growth seen in Irkutsk’s important and much-lauded tourism industry. Many homes around Baikal and the Angara River are not connected to central sewage systems, nor are there enough treatment plants for all homes. Instead, private homes are commonly outfitted with cesspools or, at best, septic tanks. Cesspools are pits that should be lined with porous concrete, cement, or brick which act as filters for wastewater. While relatively easy to construct, over time, drainage areas surrounding cesspools become saturated. Also, the pools need to be pumped out regularly (typically on a monthly basis). However, residents with cesspools frequently disregard construction and maintenance norms and end up allowing untreated sewage to directly enter the local environment and possibly into surrounding bodies of water. Septic tanks are a better technology that serve the same purpose, but also often fall victim to similar oversights in maintenance and installation. Meanwhile, Irkutsk’s current sewage treatment facilities were built in the 1960’s and lack the capacity to effectively handle the quantity of sewage currently entering the system. This includes not only household sewage, but also treatment for storm water runoff, which contains increasing amounts of oil, pesticides, sediments, bacteria and other chemicals, as the amount of cars and other consumer products in the city has grown. The lack of an adequate system to drain and treat large rainwater quantities results in flooding, allowing untreated storm runoff to end up in the city’s water supply. Growing levels of regional tourism, despite being largely nature-based and “ecological,” also compound the city’s challenges. Because Baikal has very few treatment plants to take on large volumes of liquid waste, many communities and facilities surrounding Baikal resort to dumping waste directly into the lake or its tributaries. An example is Chivyrkuisky Bay, a popular tourist site, where 160 tons of waste drains into the lake’s shores during the summer season. Water transport vehicles are another concern. Between 2007 and 2012, tourist and sightseeing water transportation rose from 1,015 to almost 6,000 people per year. These tourist vessels produce an estimated total of 25,000 tons of liquid waste annually. Due to a lack of treatment facilities, only 1,600 tons total are properly disposed of. Solid waste is also a growing risk, as trash generation is increasing in recent years. With approved dumpsites in limited quantity, unauthorized dumping is becoming more common. This involves waste illegally deposited of in large quantities onto land without a license to accept waste. In 2008, 116 unauthorized dumps ranging from several square meters to several hectares in size were identified in the Irkutsk region. Coastal areas are particularly threatened by illegal dumping, as Irkutsk’s tourism is often concentrated in coastal areas, which are more often outside the routes of government-sponsored trash collectors. Further, solid waste can react with storm water to become a breeding ground for pathogens, and when solid waste is dumped near a water source, contamination frequently occurs. At Port Baikal, when waste collection came to a halt in 2008 during a budget crisis, unauthorized dumps eventually resulted in typhoid epidemics. The state has been vocal in its support of Irkutsk’s ecotourism sector. Irkutsk is using this support specifically to address issues of waste water management. In accordance with the federal Year of Ecology and Year of Specially Protected Areas in Russia, the city of Irkutsk hosted The International Baikal Ecological Water Forum in September of 2017. The forum’s central theme was wastewater treatment. As a part of the forum, the Ministry of Natural Resources and Ecology of the Irkutsk Region organized a contest to attract personnel specializing in wastewater treatment. Its goal was to craft new solutions for sewage treatment, construction of treatment facilities, and cleaning waste water ejected from vessels on Baikal and the Angara River. 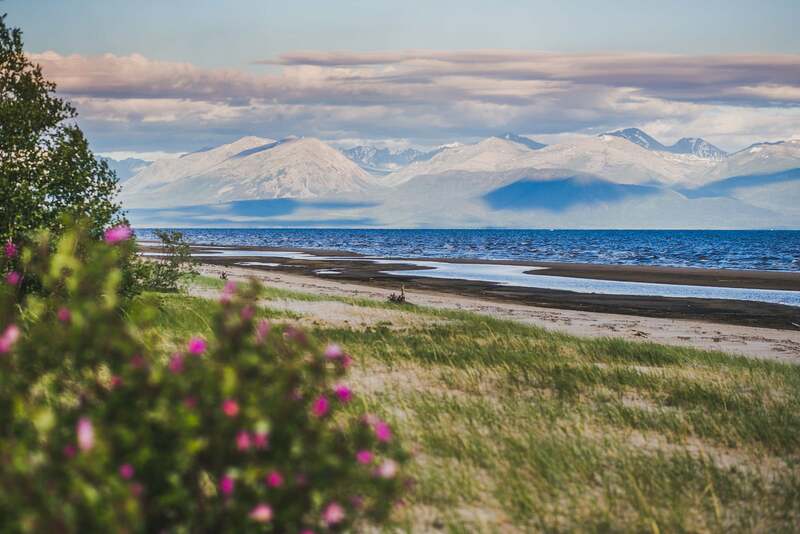 Image of Lake Baikal, originally featured on 1baikal.ru, a site designed to promote ecologically friendly ecotourism and conservation practices. Irkutsk is also using federal funds made available via the program “Protection of Lake Baikal and the Socio-economic Development of the Baikal Nature Reserve for 2012-2020” to repair an outdated sewage plant on the Angara River. This program is small, however, allocating only 634 million rubles ($1.1 million) to be used by across three areas: Irkutsk, Buryatia, and Zabaikalye. 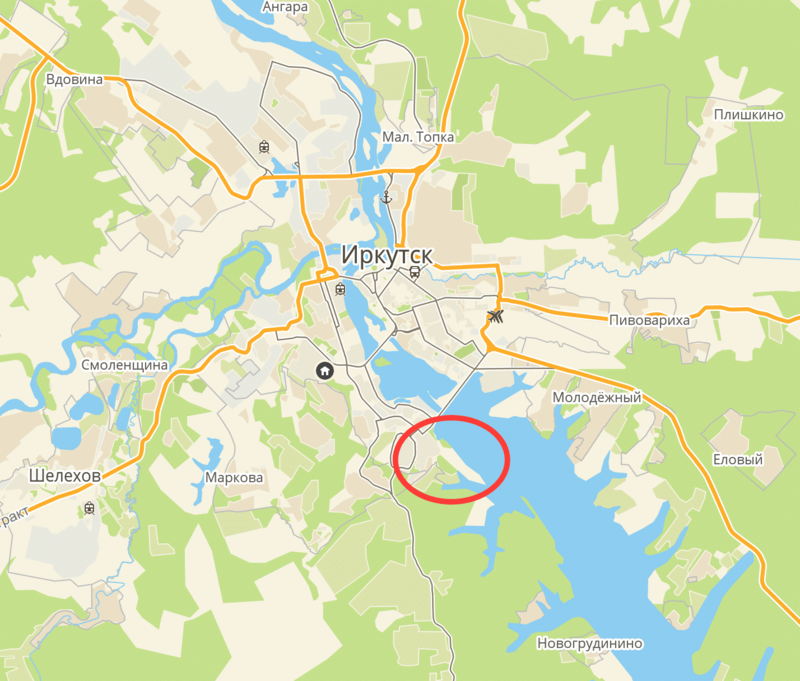 By 2025, the Irkutsk hopes to reconstruct its main sewage treatment plant with sludge compactors, a sludge dewatering facility, several pumping stations, storage sites, a multi-stage purification system to remove phosphates, and an administrative building. Such improvements will heighten the plant’s capacity from 130,000 cubic meters of effluents per day, to 220,000 per day. Beyond wastewater treatment, to further tackle tourism-related contamination issues, several projects exist to promote sustainable, eco-friendly tourism practices. One such includes the 360 Minutes volunteer project, where for volunteers pledge six hours to collecting garbage and cleaning up protected areas. Another is the Baikal Expedition, a public scientific project fighting against growing colonies of green algae, which pose a pathogen risk to the water supply. 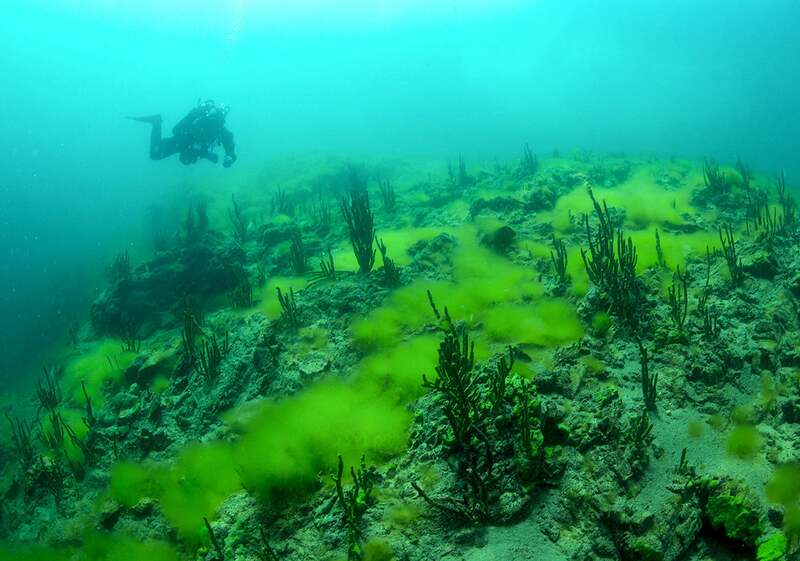 Green Algae in Lake Baikal. Image originally featured in a National Geographic news article. Additionally, to reduce waste from water transport vehicles, ecologists are suggesting to equip garbage vessels with satellite monitoring devices, in order to track exactly where waste is delivered and to prevent illegal disposal. Other proposals include building the first eco-friendly vessel for Baikal, the Trofin Yaskin, which will be equipped with solar panels, a wind generator, and devices to convert sewage water into fuel, while recovering solid waste and eliminating condensation. At large, public mistrust of the tap water in Irkutsk is a consequence of the city’s lack of updated infrastructure and investment in the public water and waste management systems. Yet despite the region’s challenges, Irkutsk’s water cleanliness is still considerably better than other Russian cities of comparable size, due to the city’s favorable position in close proximity to Lake Baikal. With Irkutsk’s population and tourism expected to increase in the future, however, steps must be taken soon in order to mitigate future challenges associated with increased water use and waste generation. The next steps in ensuring water safety will be to successfully implement Irkutsk’s proposed investments for water and waste infrastructure, in addition to keeping the public water system at the forefront of regional development goals.